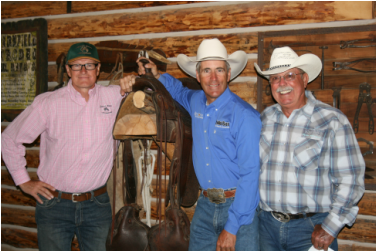 The Winters, Varian’s and our 2014 summer event participants agree that the events held at the V6 Ranch were a great success! Just imagine the improvement that you and your horse could enjoy with consistent, uninterrupted, and quality instruction invested in your partnership! Add to this the support and guidance of Richard’s coaching through each new challenge, and this is what will transpire at this years “Ultimate Horse Course I.” With a week devoted to progressive horsemanship, we’ll cover everything from ground work to trail riding, confidence building, and cattle working. 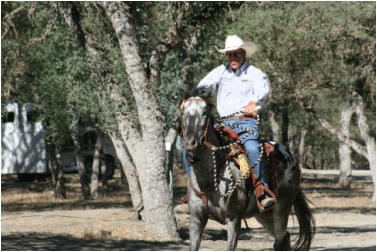 Richard’s goal is to elevate your current horsemanship experience to a new level of knowledge and leadership. suggestions and to share the week with people who love their horses as much as I do!" * "Cheryl does an amazing job taking care of us all." 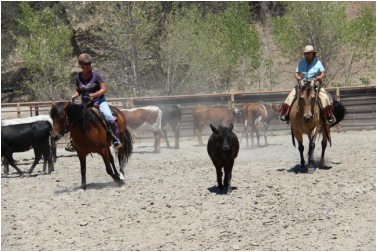 Included in your above choice of price: Lodging for you and your horse, meals, and hands on instruction from Richard Winters' daily! Plan now to join us this summer! Included in your price: Lodging for you and your horse, meals beginnging Monday evening with dinner through Sunday morning breakfast and hands on instruction from Richard Winters' daily! Participants are responsible to bring their own horse feed. Please call Richard or Cheryl at 805-276-6101 to register.